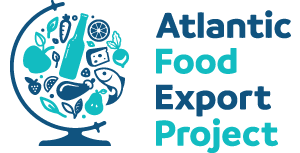 The third Atlantic Food Export Business Meeting in Vila Nova de Famalicao, a region in the north of Portugal, confirmed that the project, funded by the Interreg Atlantic Area Programme is well on track to achieve its objective of promoting the internationalisation of Atlantic Food SME’s. 45 companies from regions across the Atlantic Area (Dordogne, Seville, Asturias, North of Portugal, Wales, Cork and Northern Ireland) met in Vila Nova for two intensive working days, 25 and 26 September. The agenda included a variety of activities to help companies access foreign markets. 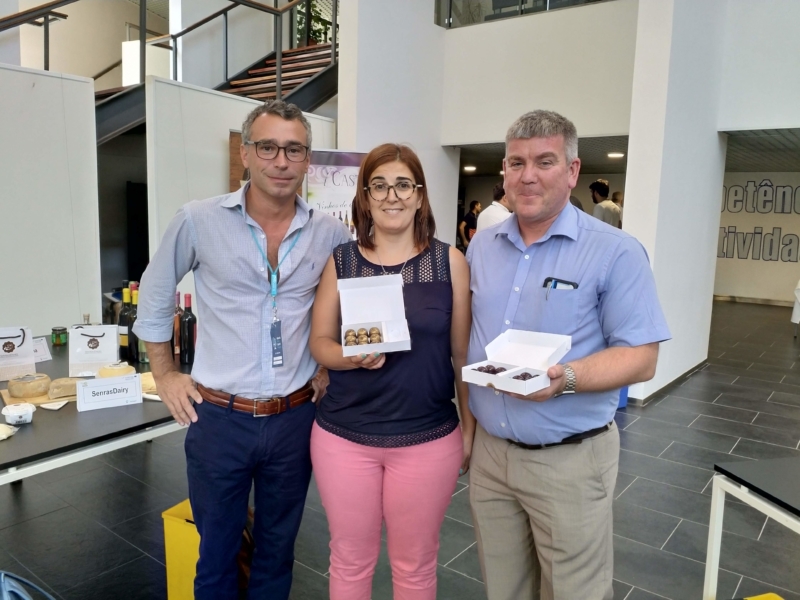 International trade experts, distributors and retailers visited the selection of Atlantic specialities displayed in the product showroom and briefed the participants on the local consumer preferences and give insights on how the food distribution channels work in Portugal. The companies had the opportunity to check this out during a visit to selected retailers in Porto, in a guided tour to familiarise with the Portuguese food market. Nearly 100 B2B interviews were scheduled to allow companies to explore possible cooperation initiatives, but the interaction between the companies was continuous during the two-day event, around the products in the showroom and during lunches and other activities. At B2B meetings the companies had the opportunity to share commercial contacts, explore possible cross-distribution agreements, or even work on joint product development. As an example, the Portuguese company SimBonbons presented chocolates filled with Welsh GRH Foods cheddar and Wensleydale and cranberry cheeses.